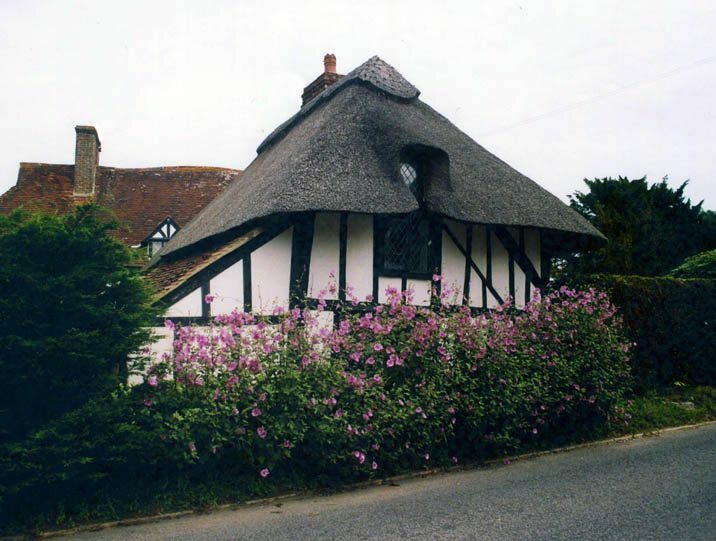 This area is more famous for it’s tiles than any thatching. 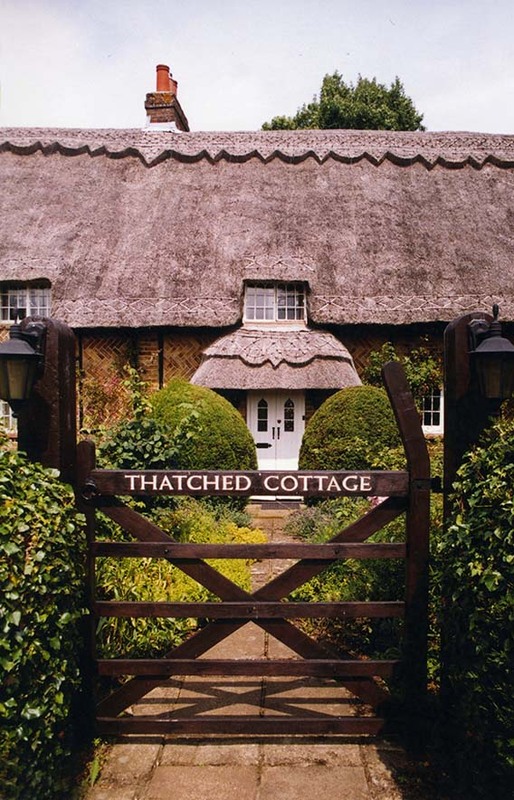 This is certainly true in Surrey, where little thatch remains but Kent has as much as Cornwall. 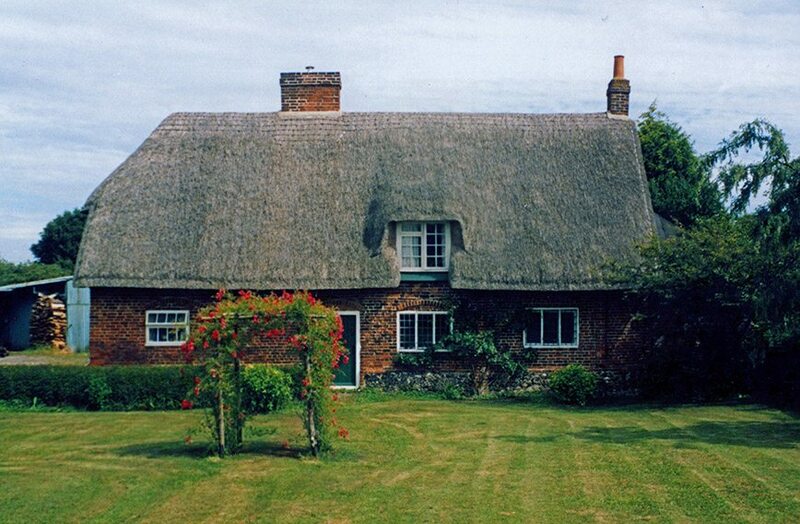 Even the London suburbs, that cover parts of both historic counties, still have a scattering of thatched properties. In 1889 the County of London was created, taking over the administration of Deptford, Greenwich, Woolwich, Lee, Eltham, Charlton, Kidbrooke and Lewisham, in Kent and Lambeth, Southwark and Wandsworth, in Surrey. This later county also lost Croydon, Kingston upon Thames, Merton, Sutton and Richmond upon Thames; when Greater London was created in 1965. Kent losing Bromley and Bexley. 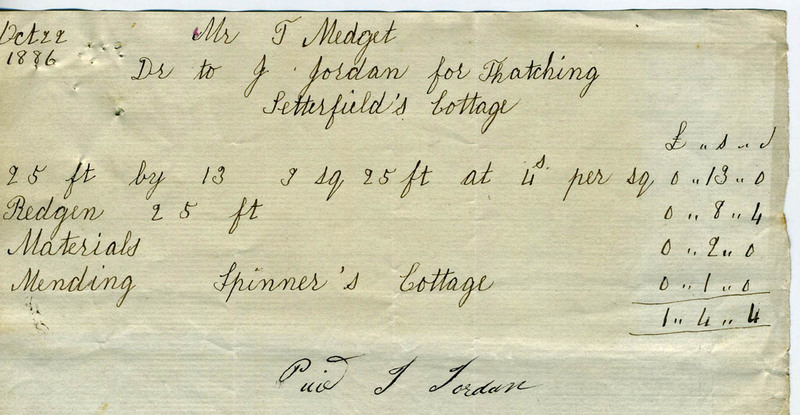 A time, before the London Boroughs…. 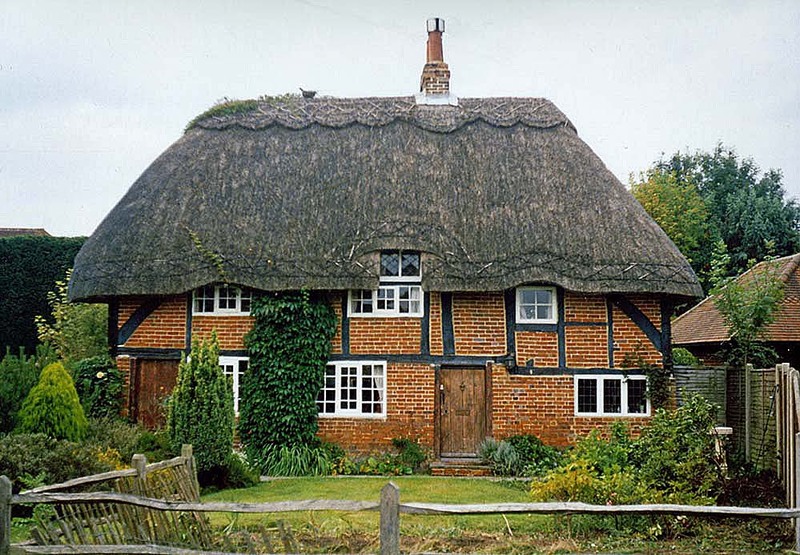 The next seven images show thatched buildings, both extant and extinct; that were built long before the areas mentioned above were swallowed up by the metropolis… So, working in a clockwise direction. 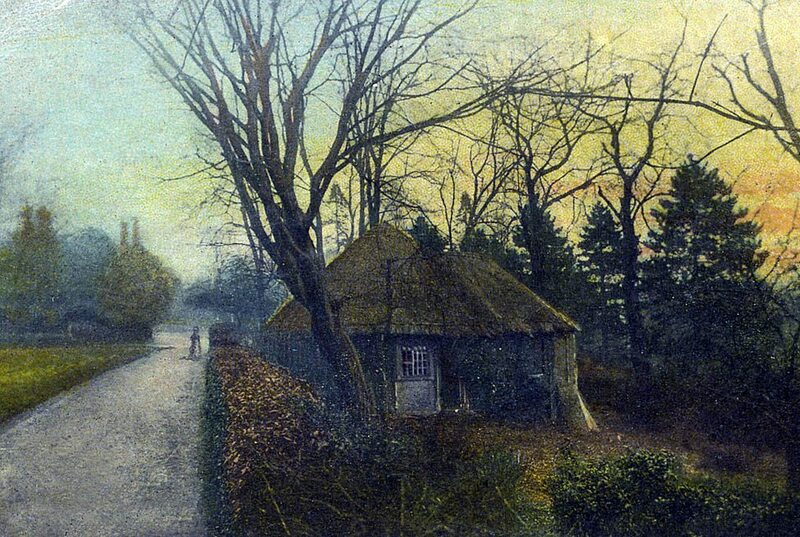 Camberwell Grove, Surrey… The message on this old postcard, dated 1907 says… ‘ address, 98 Camberwell Grove, next door but one to the thatched cottage’. 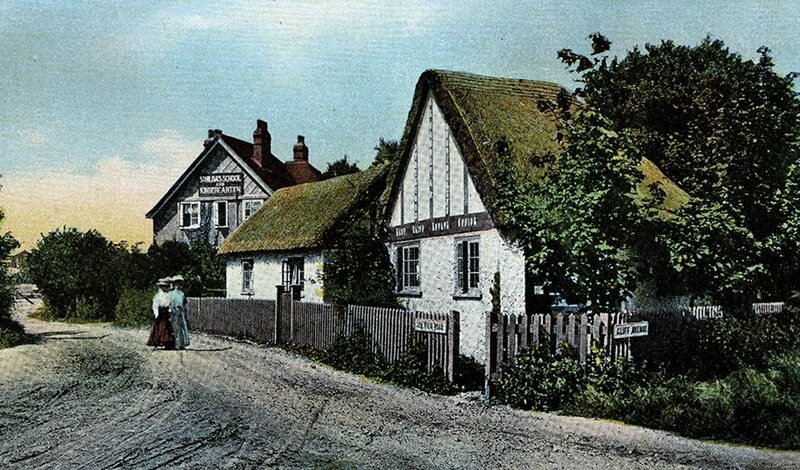 The thatched building seems around a century older than the postcard, being built in the ‘Cottage Orne ‘ style. 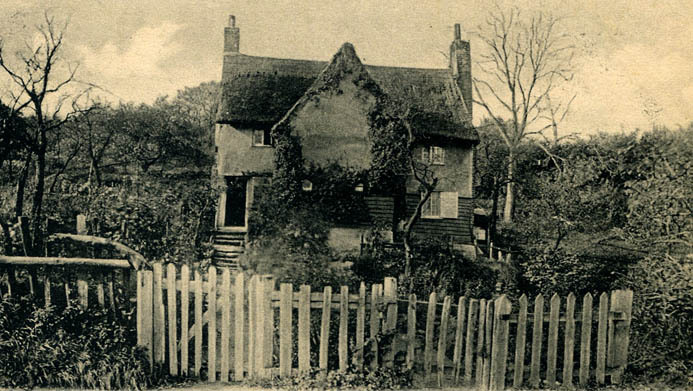 Kent thatch, around 1900, extinct and extant… The above cottage at Wickham Lane, Plumstead, has long gone. 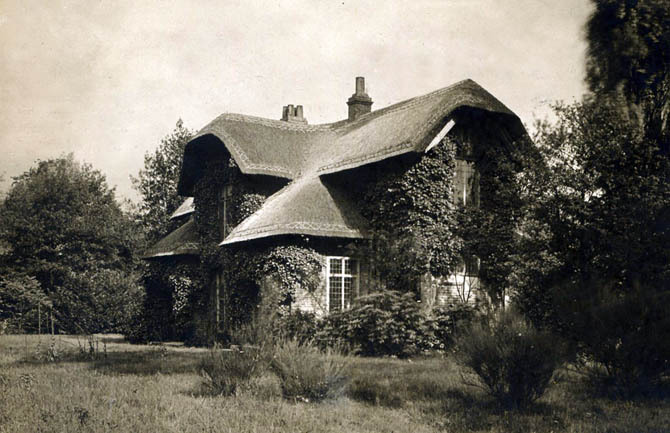 But the right hand ‘Cottage Orne’ thatch, at Bexleyheath is still with us. 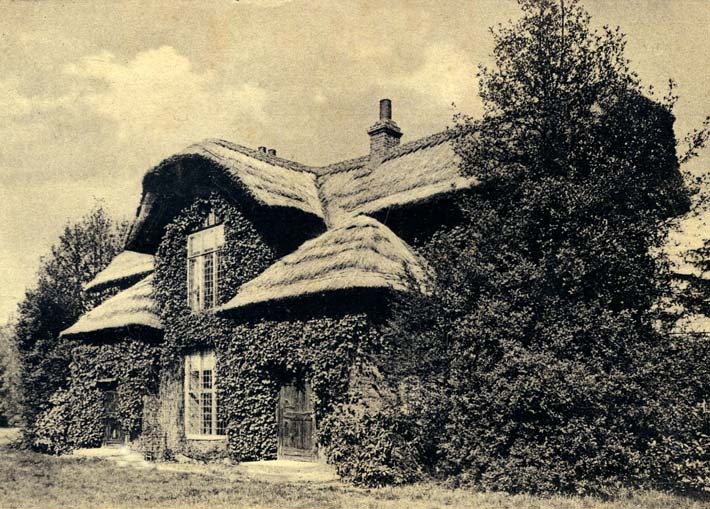 More ‘Cottage Orne’ thatch… This building lies at Cudham, once in Kent but now, just inside the London Borough of Bromley. 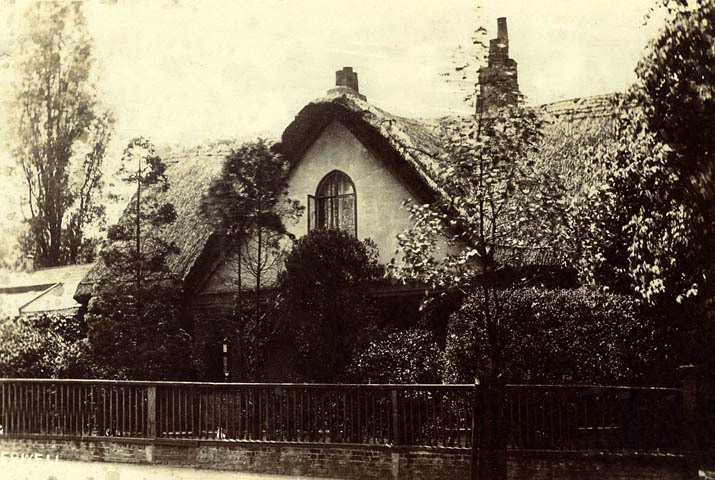 As seen, much of the remaining thatch, in the London Boroughs, also dates from this period. 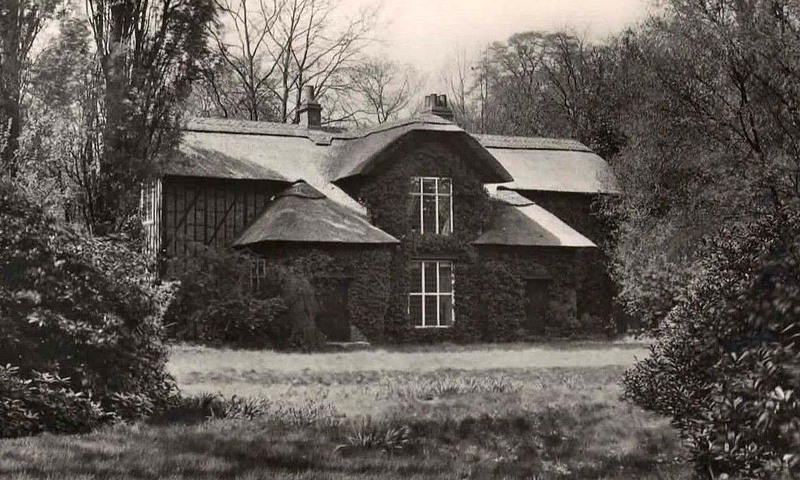 Often remnants of defunct rural estates. 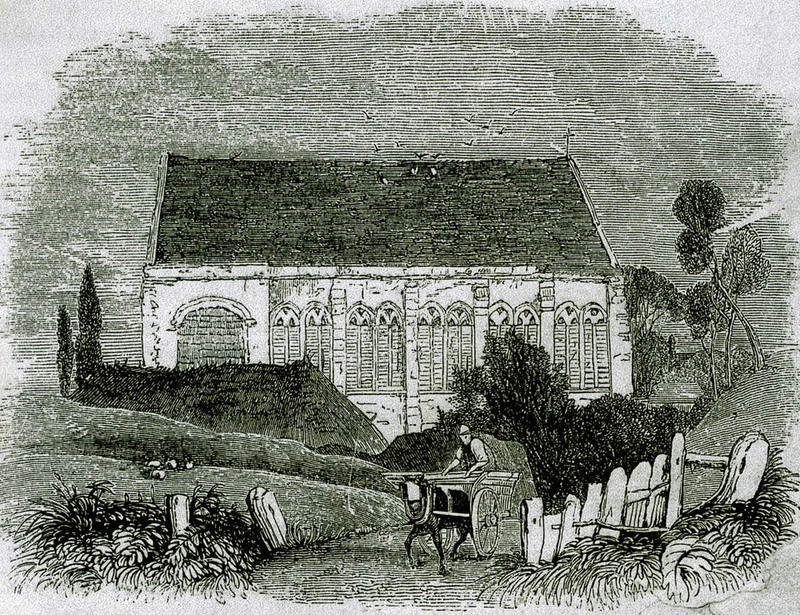 As the Cudham lodge appears to be. 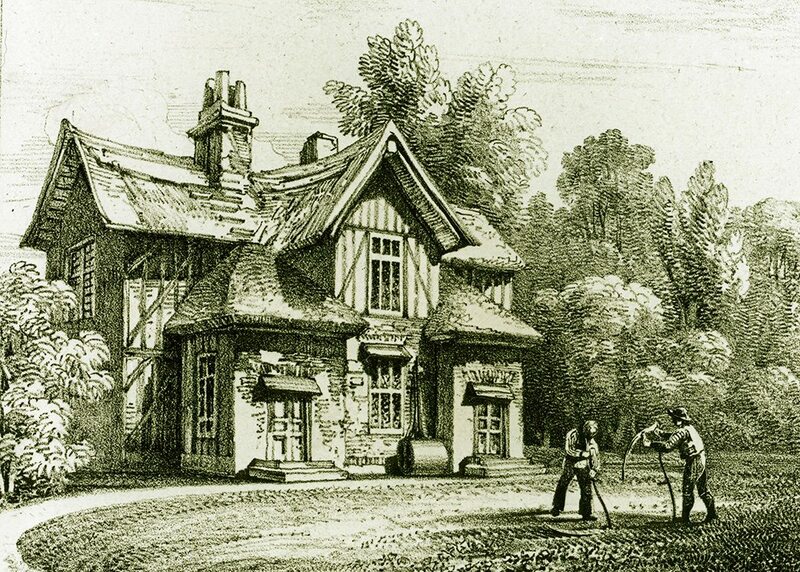 Glimpses… More royal thatch, this time in Richmond Park. 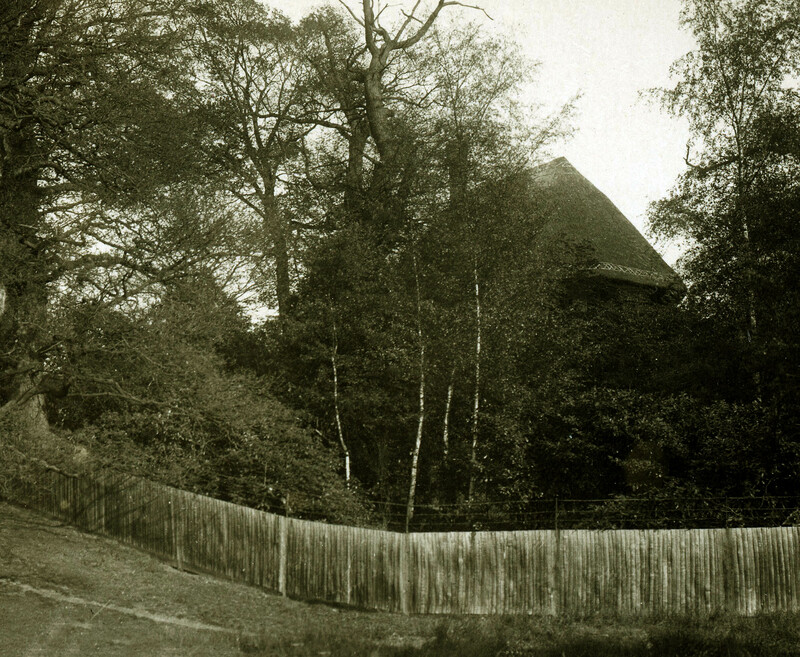 ‘Thatched House Lodge’ is a private residence, seen from a distance. 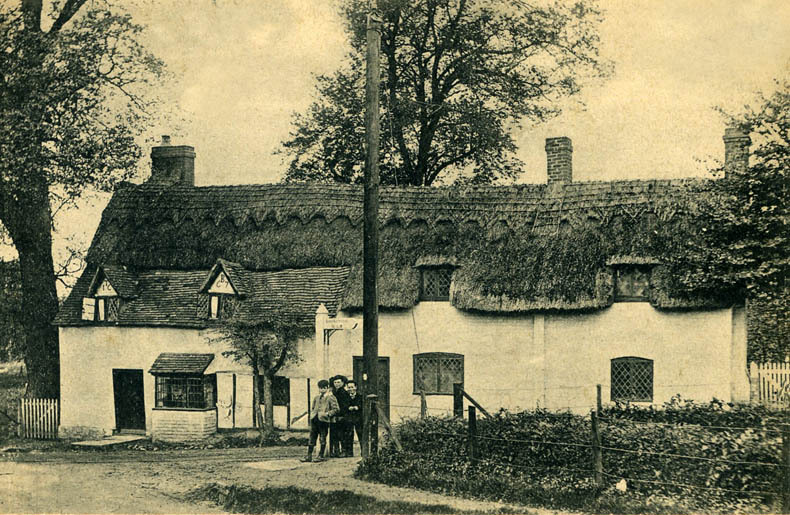 Only parts of this seventeenth century property are thatched, the older image shows some plain long straw work, in around 1930. 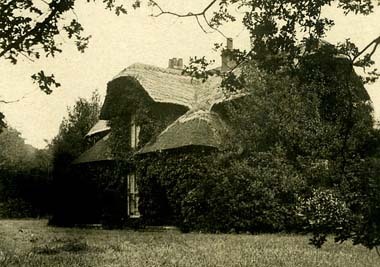 The newer thatch consists of water reeds, under an ornate ridge. 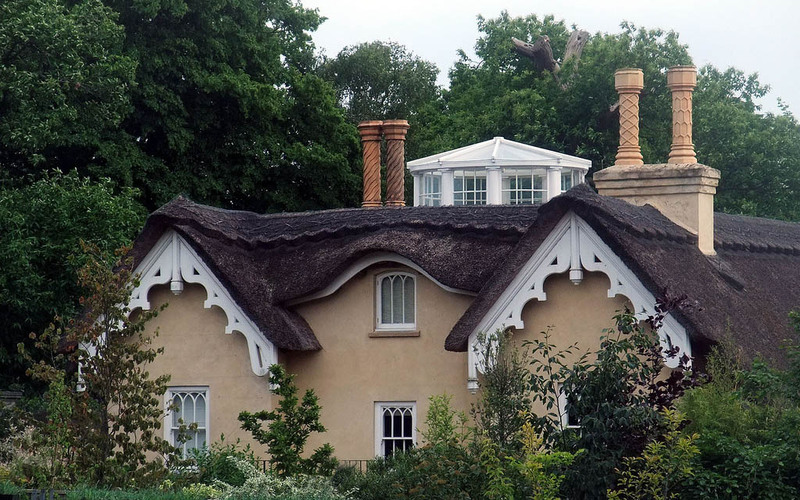 Less than three miles to the north east lies another royal thatch, at Kew, which is very accessible; it’s thatching history is detailed below. Left photo; copyright & thanks, Les Colman; supplied under Creative Commons. 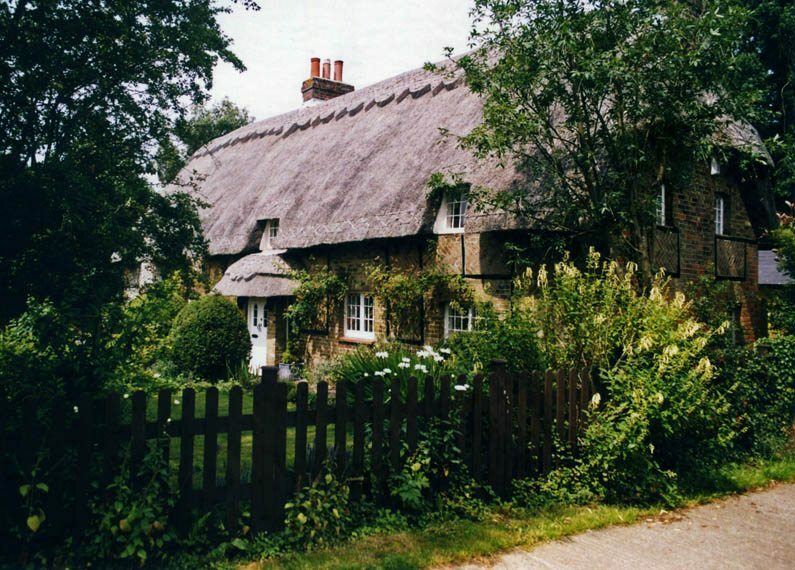 Large Kentish thatch.. 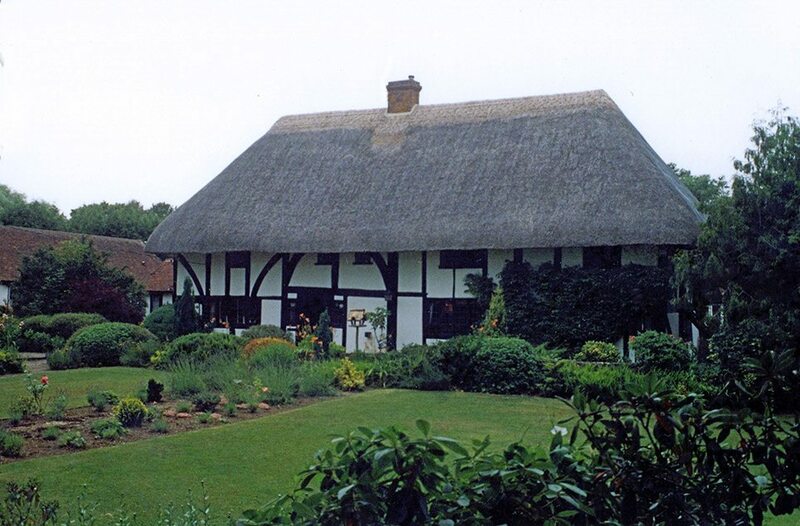 The upper house at Smarden, is a lovely example of a late medieval, Wealden Hall House. 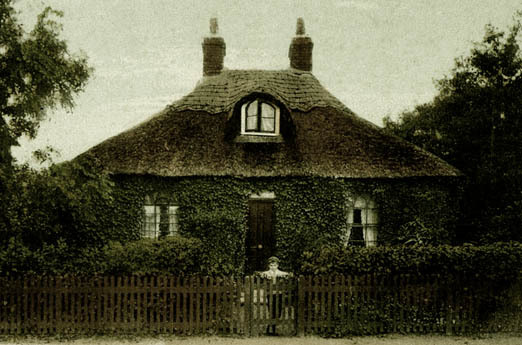 Quite a few survive hereabouts but few retain their thatch roofs. 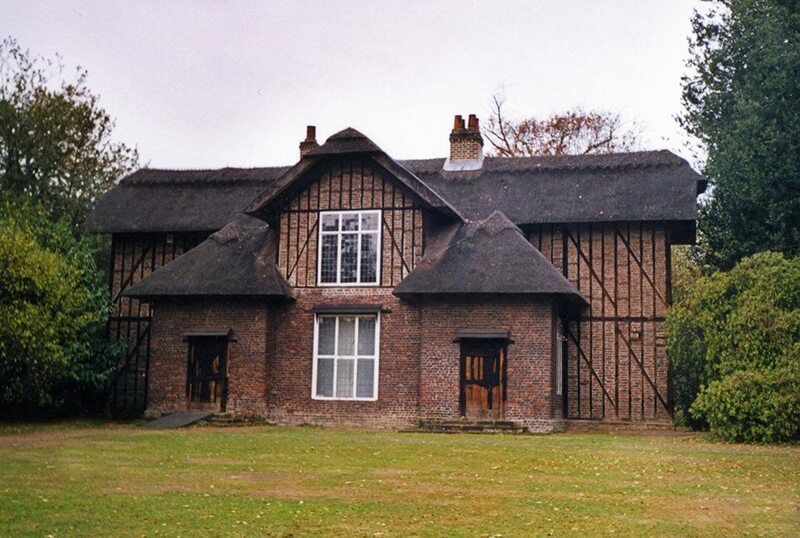 The lower house at Borden is just half the age at three or so centuries old. 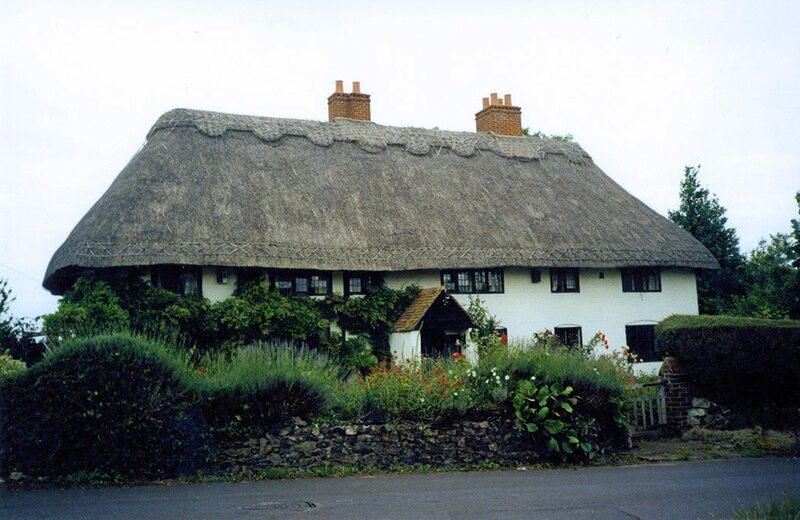 And shows a sparred long straw finish to it’s eaves. 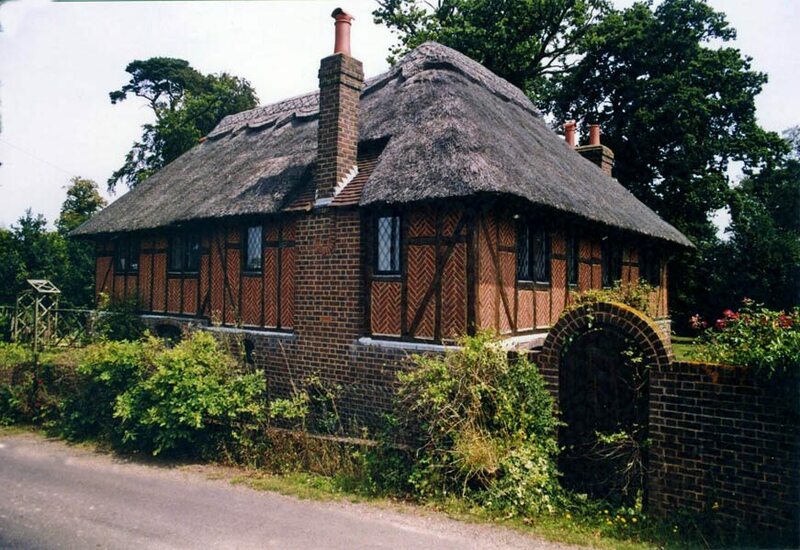 Kent tiles and thatch… Along with an Edwardian ornate ridge, at Wingham. 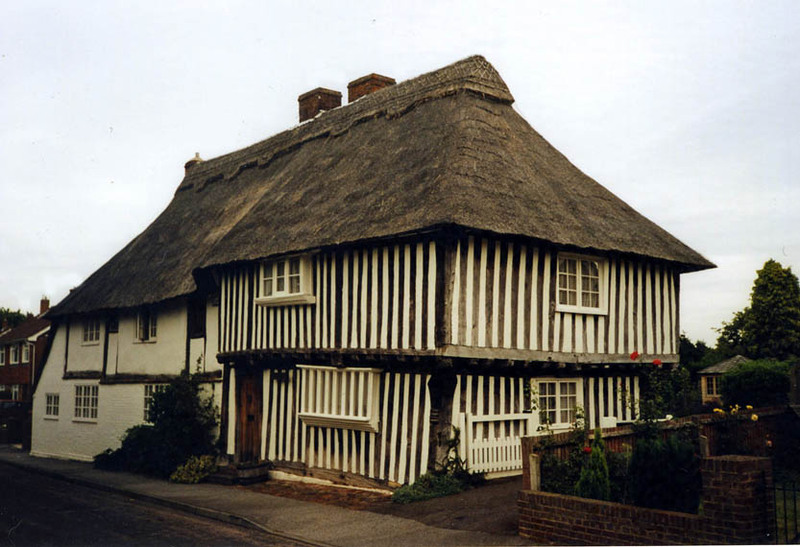 This extant cottage dates to at least the Tudor period, having the upper storey converted, in 1667; as the date, above the windows, still shows. 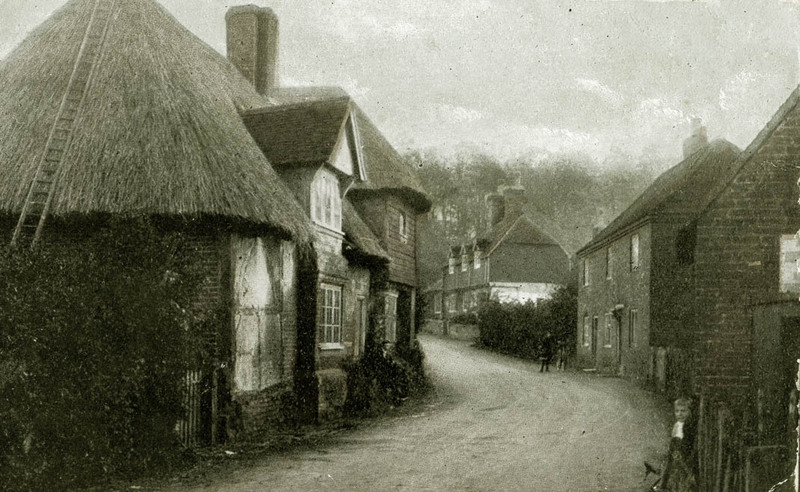 Edwardian long straw… The old postcard opposite, shows ‘The Street at Petham’; dipicting a long straw thatch on the left, which is nearly complete. 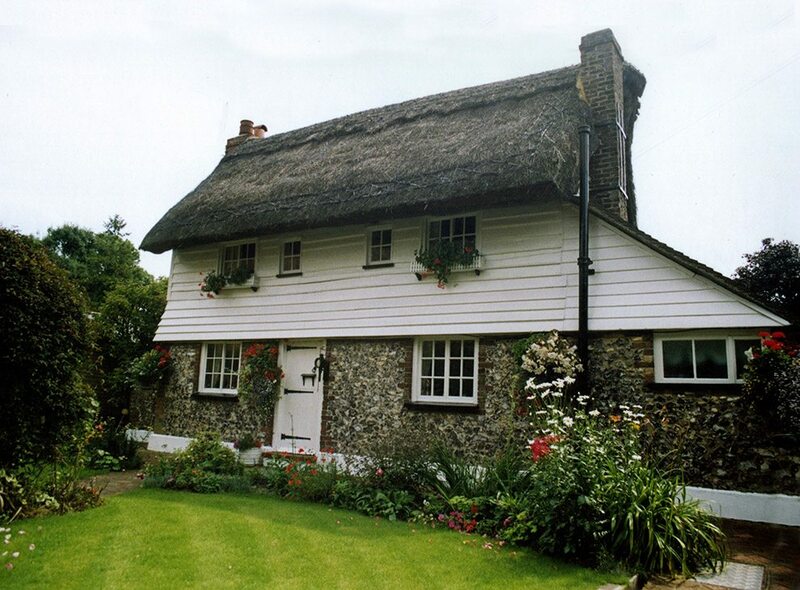 The thatcher’s long pole ladder is much in evidence, but the Kentish thatcher is missing… It seems only the fixings, around the eaves of the roof are required, to complete this long forgotten job. 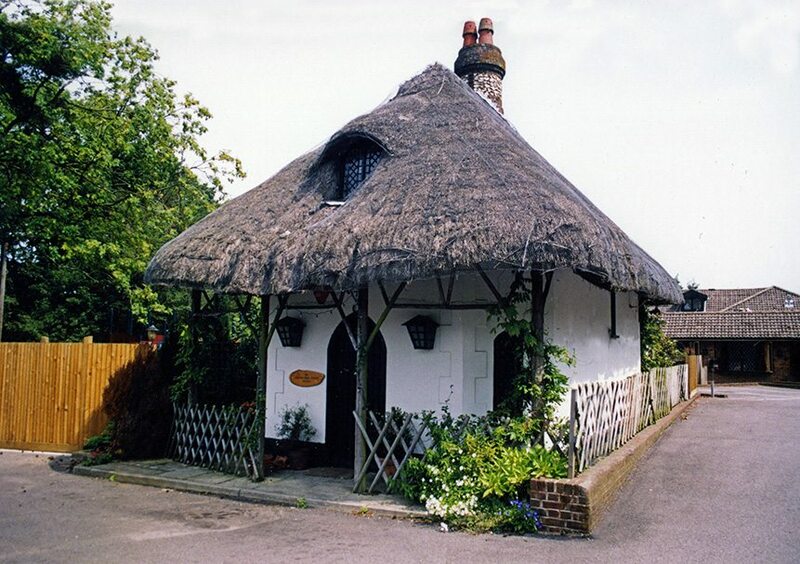 Surrey now has less than one sixth of Kent’s thatch but some attractive examples remain… This timber framed cottage is infilled, with good Surrey brick, no doubt from the same source that created so many tiles; that replaced so much thatch. 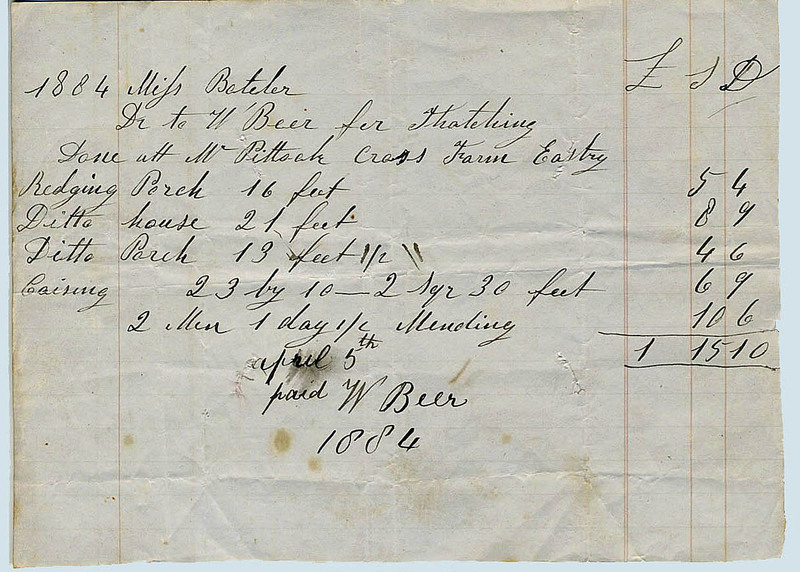 But not this long straw example, at Bisley. 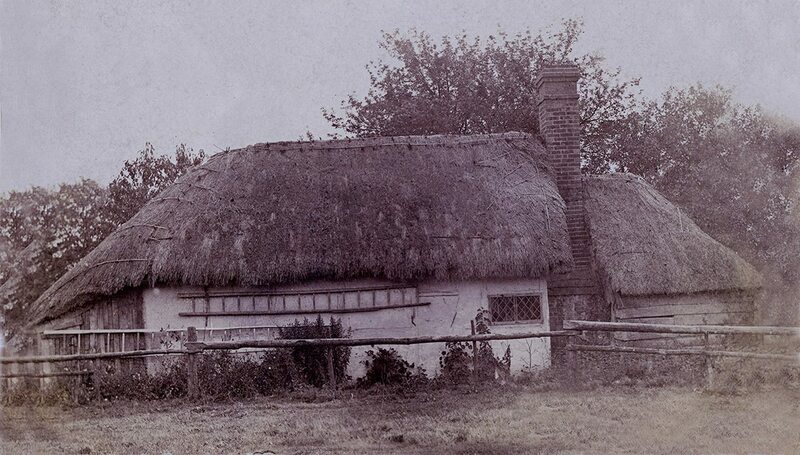 Old Surrey thatch… At Newchapel, showing a rather worn long straw thatch. Along with two wooden pole ladders, slung under the eaves. 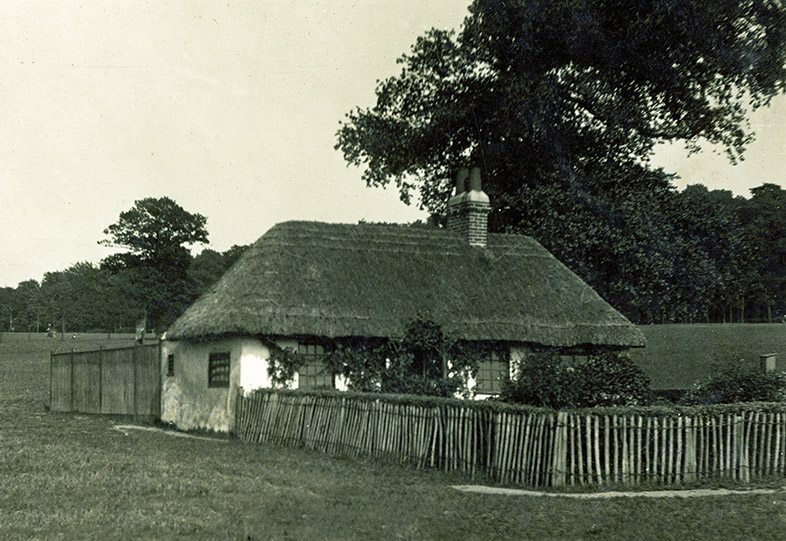 Idyllic Surrey thatch… Near Banstead. 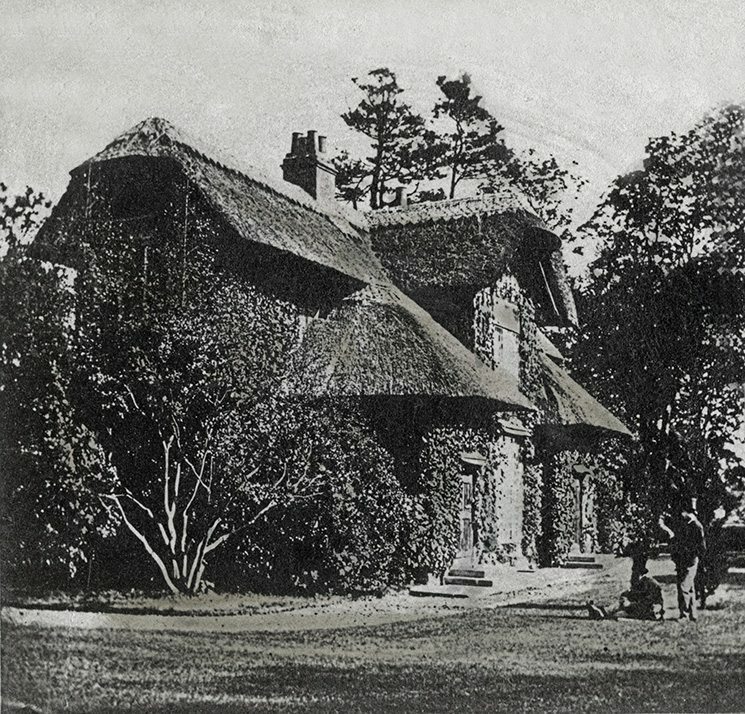 Queen Victoria rarely visited the cottage and in 1898 she opened the cottage and its grounds to the public; in commemoration of sixty years on the throne. 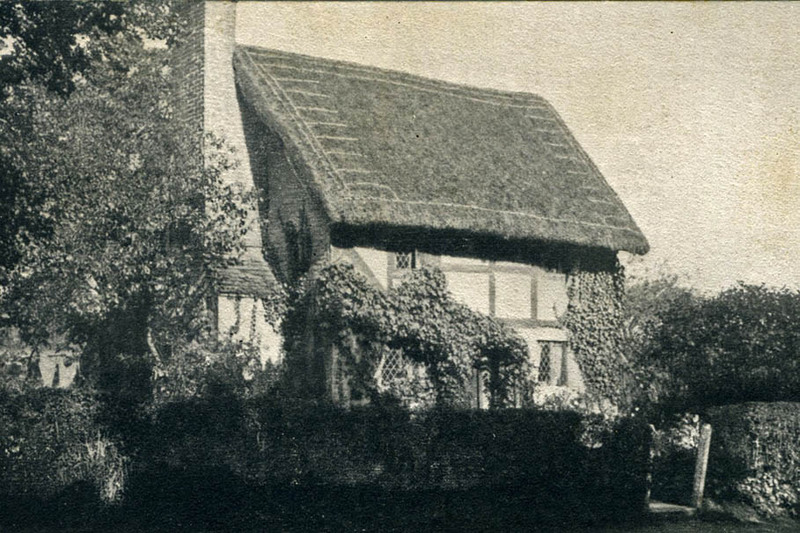 Return to water reed… After the excursion into long straw thatch, the custodians of the cottage, evidently decided that a return to water reed thatching was desirable… The left photo, dates from around 1930; showing a fairly plain ornamental ridge. 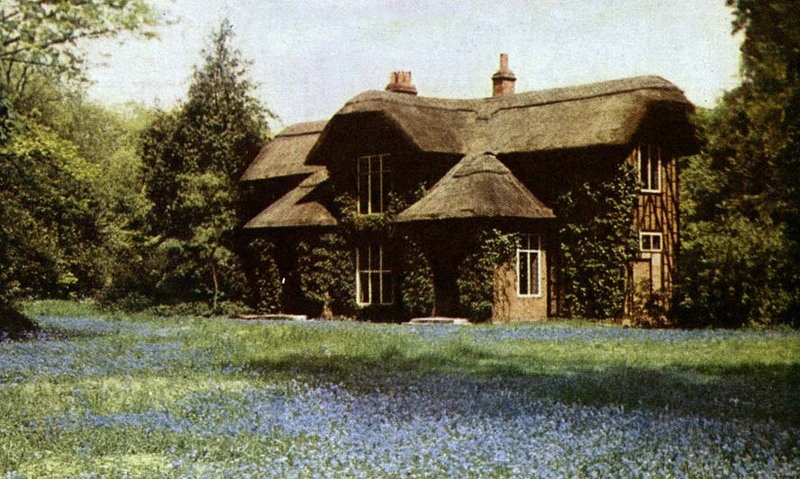 Also shown are the bluebells, for which this spot is well known… The right image shows the 1950 rethatch, also in water reed, with a similar ridge.